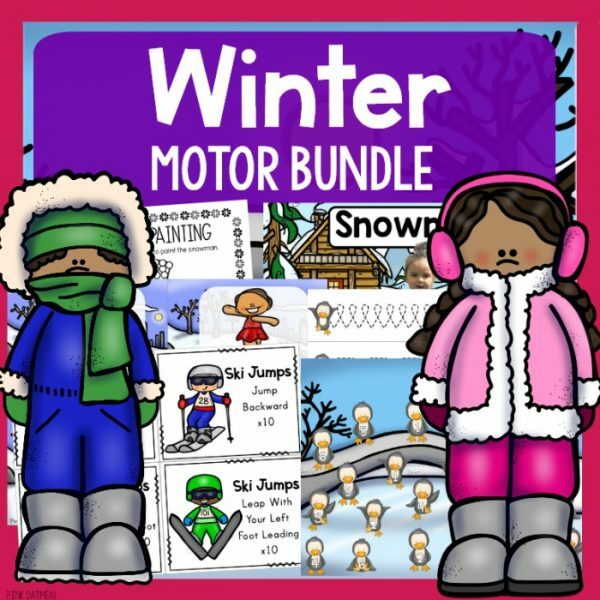 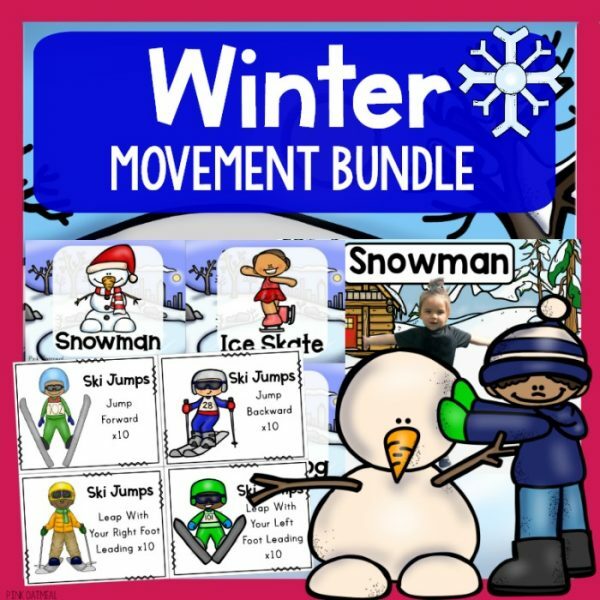 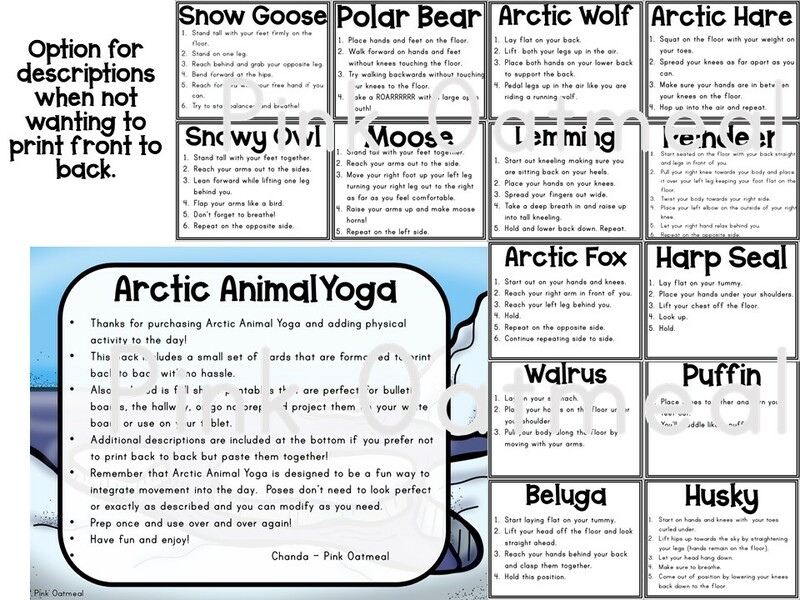 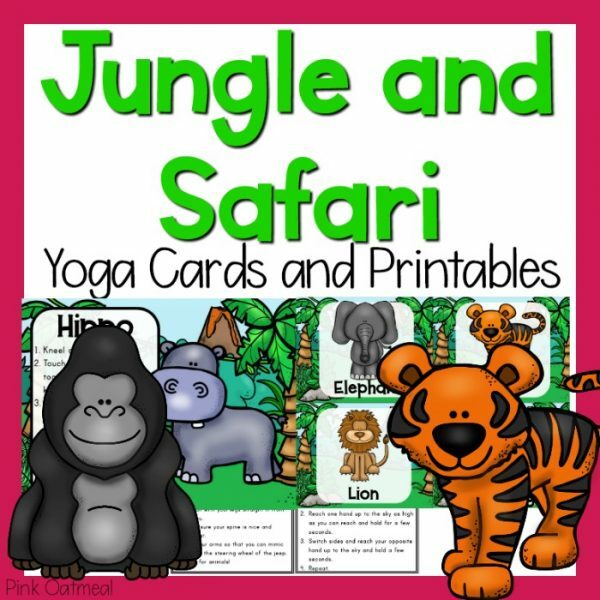 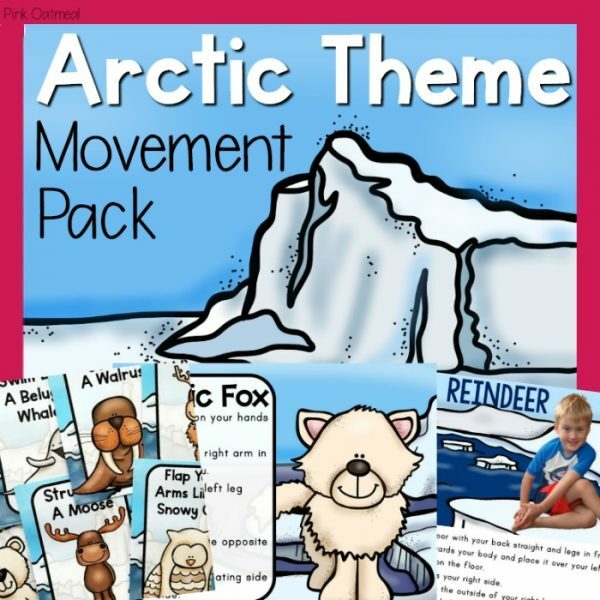 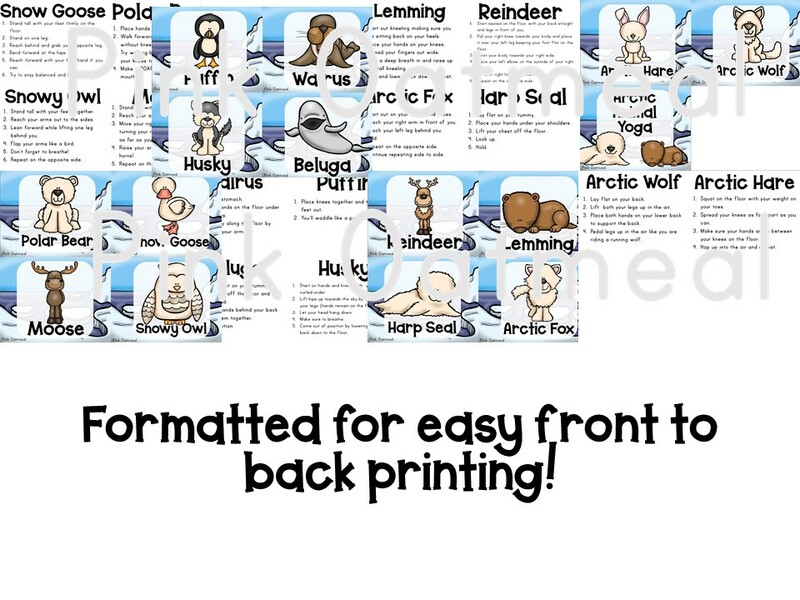 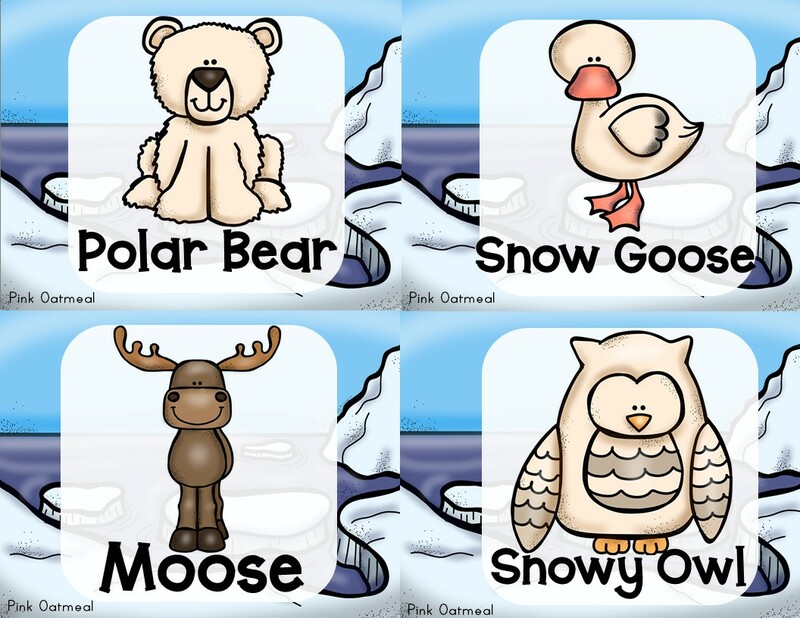 Arctic animal yoga cards and printables are great to use with kiddos to get them moving during the day. 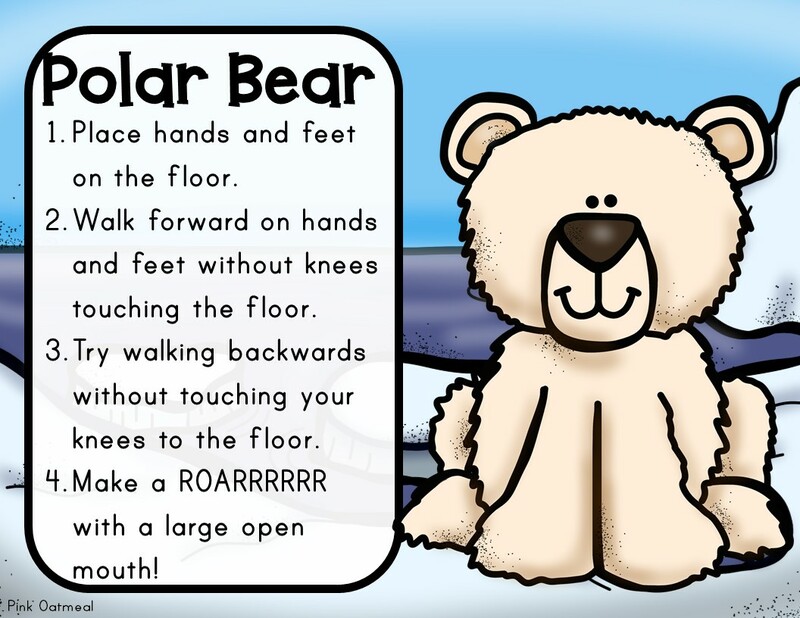 The cards have fun pictures to describe the pose with a description of how children can get in the pose. 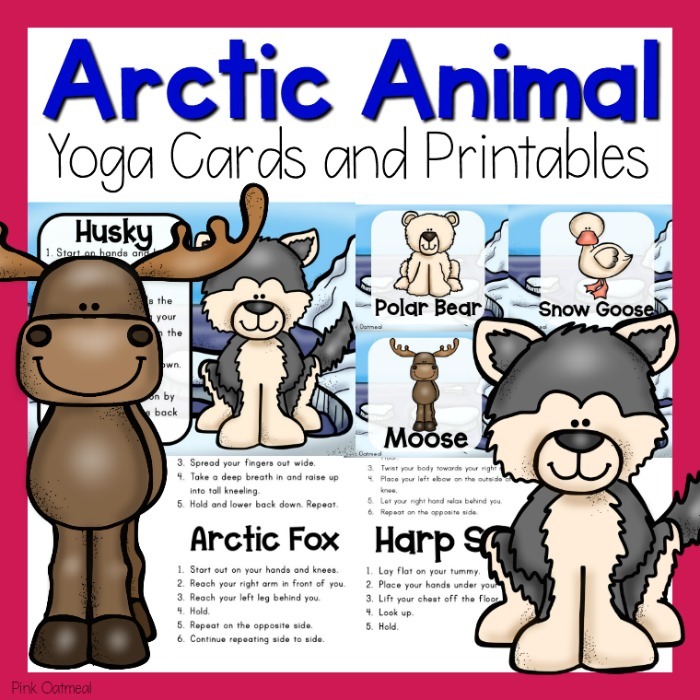 Note that these are clip art pictures and not pictures of the poses. 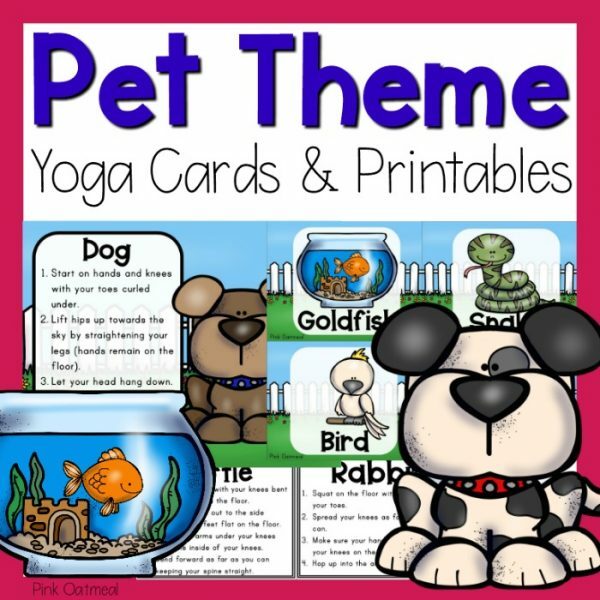 SAVE MONEY – Buy this set in the Yoga Objects Mega Bundle, have yoga for an entire year and save money! 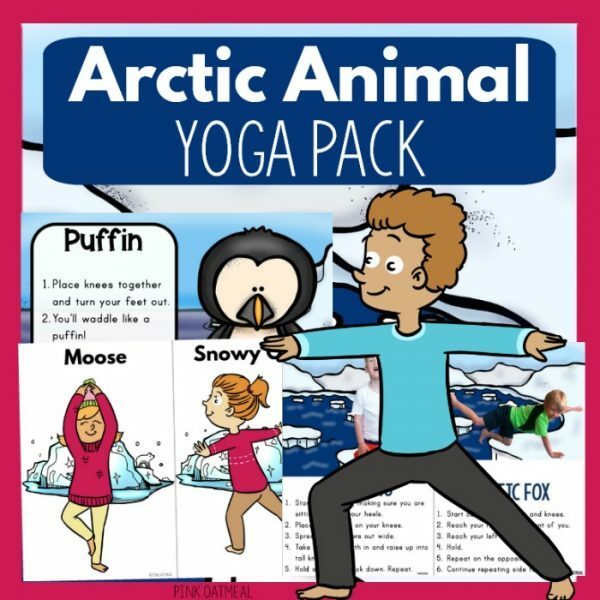 If you are looking for Arctic Animal Yoga with real kids in the poses Pink Oatmeal has you covered. 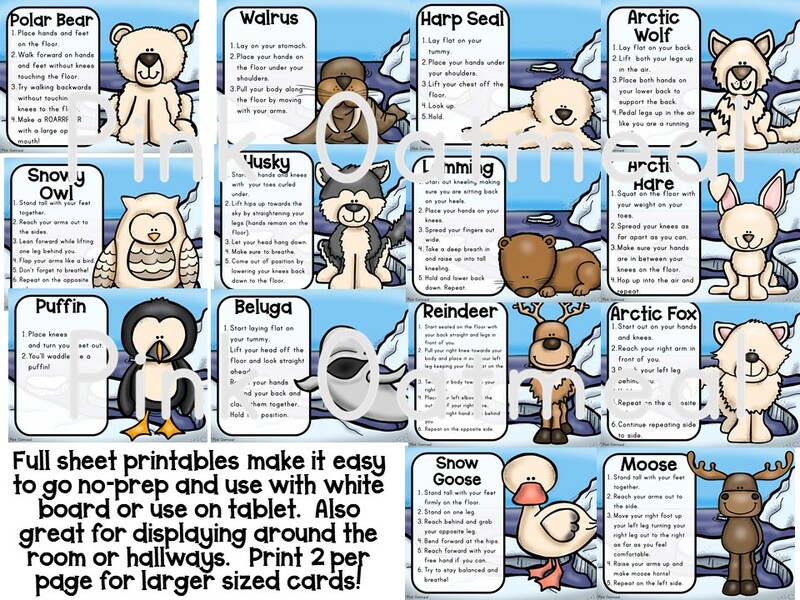 You can get them here!